We thank you, Father, for the water of Baptism. In it we are buried with Christ in his death. By it we share in his resurrection. Through it we are reborn by the Holy Spirit. 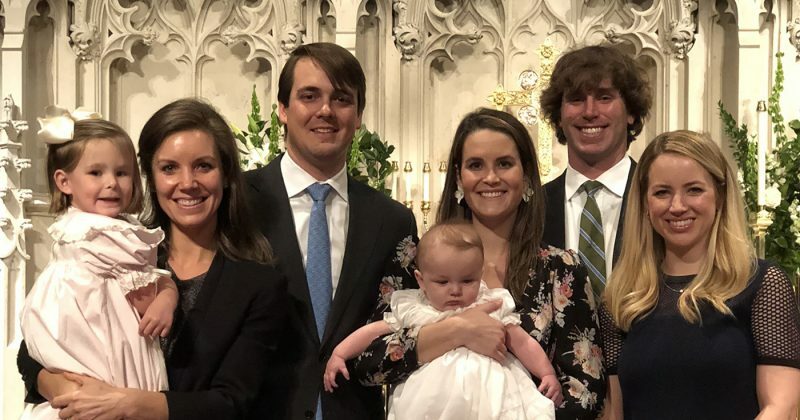 At Christ Church, having a child baptized includes attending one baptism class for parents and godparents, selecting sponsors/godparents and a period of prayer prior to baptism. To begin, contact Lin Boyle for available baptism dates. Parents are required to attend one baptism class, not only to learn more about baptism, but also to reflect on their own faith journey and hopes for their child’s life of faith. The class also provides an opportunity to build community with other parents in the parish. During the class, families will have an opportunity to walk through the service and rehearse for the baptism. The role of sponsors and/or godparents is a special one. In the case of infants and young children, they make a vow on behalf of the baptized to support them in the Christian faith and life. A godparent is a baptized Christian, someone with whom you share your faith, and one who will support your child throughout their lifelong faith journey. Godparents are encouraged and invited to attend the baptism class with the families when possible. We baptize both adults and children, as did the earliest Christian church. Baptism for adults (and older children) is distinct from infants and young children in that candidates are asked to answer for themselves at the baptism. They are also invited to prepare for the sacrament through self-examination, prayer and inquiry with the support of the congregation. As with infants and their godparents, adults are asked to chose at least one sponsor who has already been baptized and who will vow to support the baptismal candidate in his or her faith within the wider faith community. If you have been baptized in another Christian denomination, we honor and celebrate that. You do not need to be baptized again; however, if you choose to reaffirm your faith we have a similar rite in which you may do so. For more information, contact Lin Boyle.